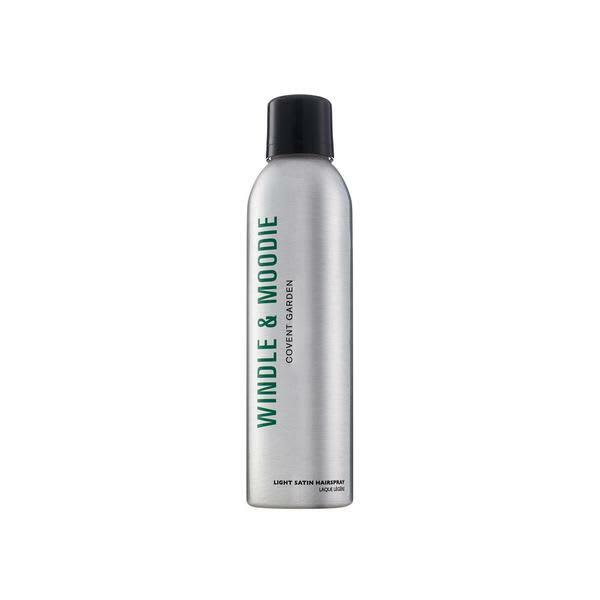 Windle & Moodie Hairspray, Lightweight fixer with heat protection and humidity resistance. Designed to create hi-octane, sleek finish and sheen for all locks. An “easy to brush out” spray giving workable, invisible hold. A must before using straightening or curling irons. Hold 25 cm from the hair. Mr Mullan's in London, United Kingdom.